Now available as a digital book on Smashwords. com, the Barnes and Noble Nook, the Amazon Kindle, and Apple’s iBooks for the iPod/iPhone and iPad. In print from Lulu, Barnes and Noble Online, and Amazon. Employing elements of classic Noir literature and contemporary action-adventures, V-Squad is the story of a small band of vampire-heroes recruited to take on the Nazis. In August, 1943, millionaire vampire John English informs President Roosevelt that Nazi-aligned vampires intend to assassinate Winston Churchill and the principal Allied generals before they can complete plans for the D-Day invasion of France. In exchange for safe passage across the Atlantic, English volunteers to raise a group of his fellow vampires to prevent that from happening. Roosevelt responds to English’s request by providing the V-Squad with an OSS operative, Edwina Kelly, to act as a liaison between them and the President. At first resistant to working with the undead because of her family’s troubled history with vampires, Edwina gradually yields to the mysterious John English’s charisma. In time he reveals to her his own dark past, his ties to the evil Longchamps, leader of the Nazi vampires, and his real reason for aiding the Allies. As she discovers, English is not the only vampire on the team with an agenda. Among them are Phil Montana, the cowboy who also happens to be English’s oldest friend; his brother George, a former monk; and Nathan Skidmore, once an aristocratic Southern planter and now a sophisticated, urban bon vivant. Another recruit is clairvoyant Henry Bevert, a master at monitoring their enemies’ movements even at a great distance. Most crucial to the enterprise’s success is ninja master Hiroshi Yoshimata, who trains the V-Squad to work as a team using stealth and ninja weapons in compensation for their few numbers. When teenage vampire Eddie Marsh crashes their first organizational meeting, Nathan is all for rejecting his appeal to go with them to fight the Nazis, but English overrides him. Before long they will learn that the intruder has earned his place on the squad by virtue of his instinctive talent for battle and unflappable courage. Later, when Longchamps threatens Edwina’s life, the vampires risk their immortality to save her as well as Churchill and the Allied generals. In the end, this willingness to sacrifice their immortality for a greater and very human cause will determine the outcome of the war. 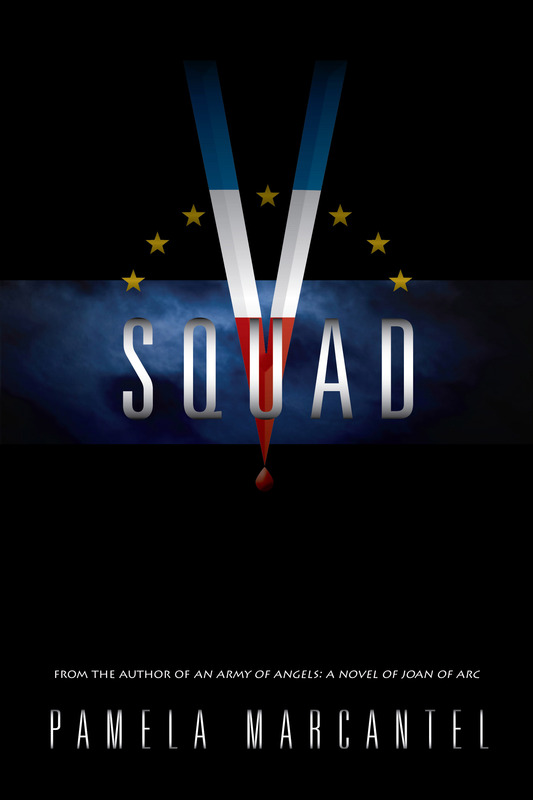 More than a simple adventure, V-Squad explores themes of loyalty, sacrifice, trust, betrayal, love— and most of all, vengeance. At its heart this is a story of a centuries-long yearning for revenge and its companion, justice, in stubborn defiance of an equally implacable evil.